The Evolution features three wind-resistant torch flames for triple the power and triple the coverage making it the ideal lighter for indoor or outdoor use. The soft rubber tiger style grip provides for a great feel and a secure non-slip grip. A retractable cigar punch cutter is located at the bottom of the Evolution for added convenience. 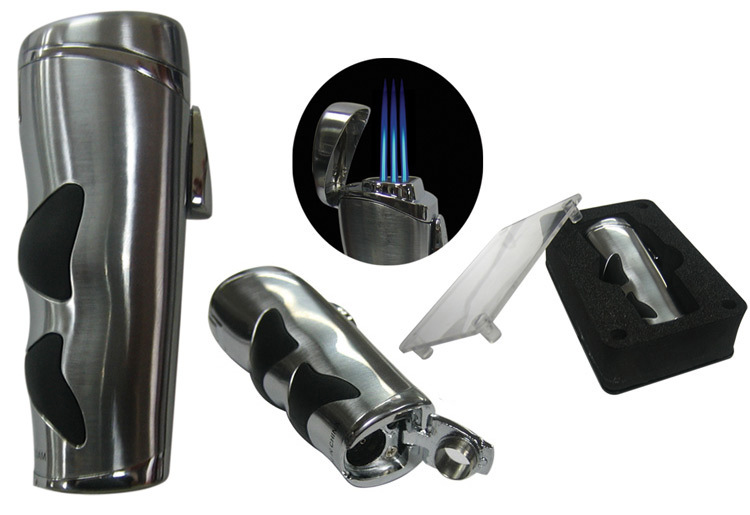 A sharp looking multi-function lighter at a fantastic price. Gun Metal Gray Combined with a Black Textured Stone Body. Triple Flame Torch.